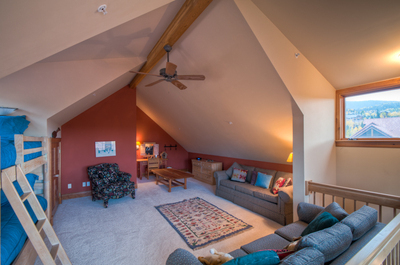 Conveniently situated near the Telluride Mountain Village core this town home has 4 designated bedrooms plus built in bunks and a sleeper sofa in the loft for a total of five sleeping areas. 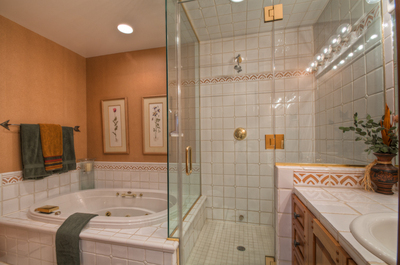 Recently repainted and new carpet installation gives the home a fresh look. 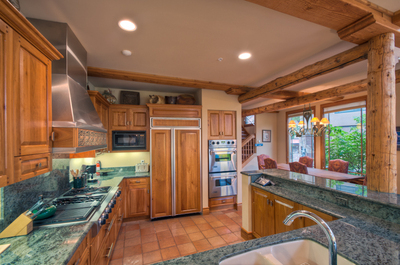 This private enclave combines ease of access to skiing and village core activities with plenty of room for the family to spread out. 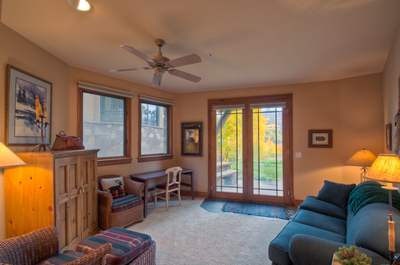 Floor to vaulted ceiling windows focus on bringing in the natural light into the main living spaces in this spacious private town home. 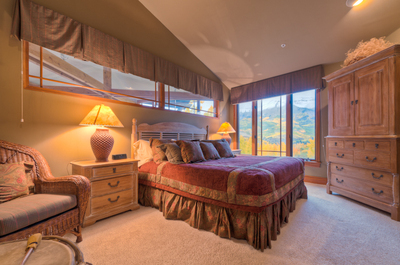 Comfortable upscale furnishings throughout the home provide you with luxurious surroundings after a hard day on the golf course or the ski hill. 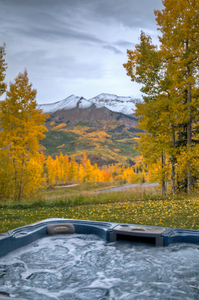 Nearby outdoor activities include the Telluride Golf course, sledding, skiing and hiking. The summer concert series is just a few minutes stroll away as are 6-tennis courts and the driving range. These are just beyond sight past the nearby meadow. 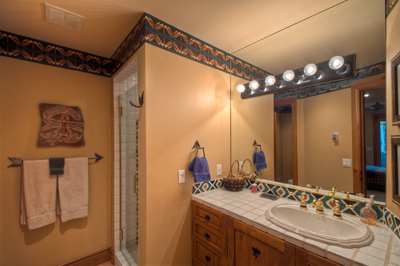 There are three spacious bedroom suites with beautiful furnishings, rugs and full bathrooms. 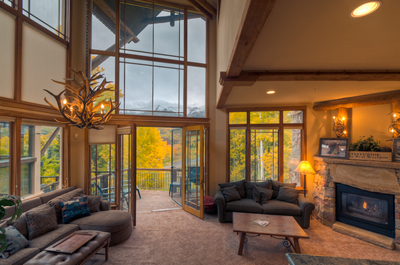 Fantastic views greet you at every level of this luxury town home. 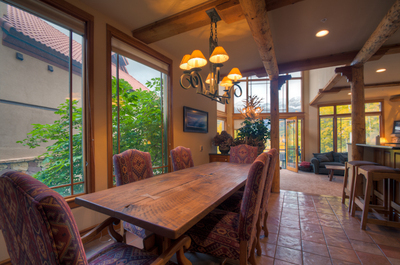 Timber construction, tile floors, generous windows and a soothing palette combine to create a relaxing sense of place. 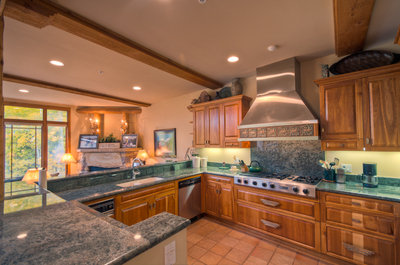 Stay at Pine Meadows vacation home and you will be sure to want to come back again and again! Condo 136 at Pine Meadows fitted our family of ten beautifully. Location location location. All in all, a fantastic location, great size property and great managing agents.